Apparently Lucy Liu is a terrible driver. Mac wonders: my startup disc is/was messed up. But having been cursed by Baba Yar, very few of my DVD drives actually work. This means I can't boot with the OSX install DVD in order to repair the disc. To which I say bleh. But there's a solution. 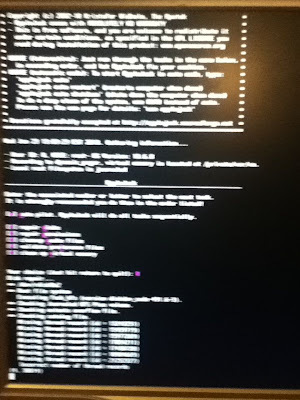 Applejack lets you go into Unix and repair stuff automagically. UNIX. Because who doesn't like computing like it's 1982? Our own Julia Rae Maldonado is in the Strawberry One-Act Festival with "When Greenland Melted". March 1st. Be there or be square.